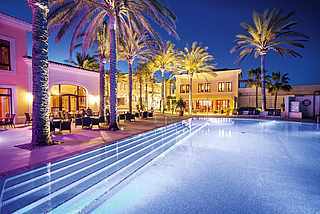 Surrounded by dreamlike sandy beaches and under the sign of love - ROBINSON CLUB Cala Serena is the place to spend wonderful moments together in paradise! Whatever you want from your holiday, you will find it at ROBINSON. ROBINSON offers a wide array of sports, exciting events, excellent food with new and varied modern dishes and always at the most beautiful beach or mountain locations. Using the club finder, you can easily find the club that best suits your holiday needs and interests. Romantic time! Enjoy wonderful romantic hours in our resort ROBINSON CLUB Cala Serena.